What Does a Sports Scout Do? Sports scouts look for and recruit new members of a sports team at the college, amateur, or professional level. They evaluate athletes' physical skills, attitude, and other factors that could determine their success on a team. Scouts are integral to improving a team's level of talent, which can pay long-term dividends in terms of performance and wins. Most scouts work with a specific sports team, but there also are scouting positions affiliated with outside services that then sell their information to teams. In some cases, scouts are also coaches of sports teams. At the professional level, most scouts evaluate young players to try to determine if one day they'll be able to contribute at the professional level. The scouts also help determine at what level the team should invest in a given player. This includes the decision on whether or not to draft a player and how much money to offer for a signing bonus. College recruiters also scout high school talent but are usually coaches with the college team. A sports scout's salary can vary depending on location, experience, company, or school for which they're working, as well as whether the position is full-time or part-time. Because many sports scouts work less than full time, the salary averages are generally low. Most scouts are former sports players, and others are current or former coaches with years of experience following the sport. Education: College is not necessarily a requirement for scouts who have played a sport at a high level and developed a keen eye for talent. However, sports scouts typically have a bachelor’s degree in business, marketing, sales, or sports management. Background and Experience: Because scouts must possess the ability to evaluate talent in young players, they must have extensive backgrounds in playing the sport, typically at the college or professional level, coaching at a high level, or many years of following the sport. Decision-making skills: Scouts need to be analytical and selective when choosing possible players for a team and must make decisions based on what's best for the team they're working with. Communication: Scouts must effectively present possible opportunities to potential players and present options to the coaches and teams they're working with. Passion: A successful coach should be passionate enough to learn all the ins and outs of a sport and stay current on players and relevant trends. While the market for sports scouts is expected to grow faster than the average career, at a rate of 13 percent through 2026, there may be a high level of competition for the top scouting positions, according to the BLS. A scout can do some work in an office, but the majority of the work takes place in the locations where the sport they're scouting for is being played. The position also typically requires travel to see players in action. Work hours can vary for scouts and can include weekends and evenings. Many scouts are self-employed and are paid for individual scouting assignments with varying hours. Other scouts work part-time in a particular area or region for a team. As they build a track record of success, full-time jobs covering larger territories or coordinating other scouts are an option. Some scouts advance to scouting director jobs with teams or other various administrative positions, like a general manager. Sport scouts must have extensive knowledge of the sports they're scouting for, which usually includes knowing what it's like to play it. Coaching can also give candidates another perspective that's helpful for scouting. You can even volunteer to coach youth sports teams while going to school. 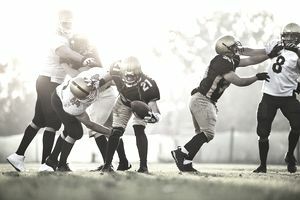 Dedicated websites like SportsCareerFinder.com and WorkInSports.com offer opportunities in sports and scouting. How Can You Launch Career As a Sports Announcer?